Collins Booksellers - Autobiography of a Disease by Patrick Anderson, 9781351720991. Buy this book online. Autobiography of a Disease documents, in experimental form, the experience of extended life-threatening illness in contemporary US hospitals and clinics. 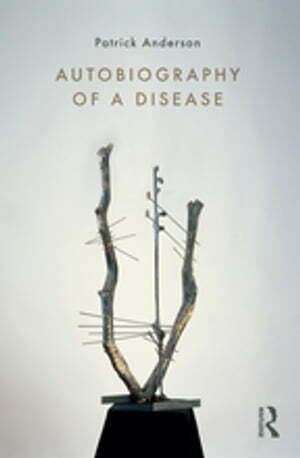 The narrative is based primarily on the author’s sudden and catastrophic collapse into a coma and long hospitalization thirteen years ago; but it has also been crafted from twelve years of research on the history of microbiology, literary representations of illness and medical treatment, cultural analysis of MRSA in the popular press, and extended autoethnographic work on medicalization. An experiment in form, the book blends the genres of storytelling, historiography, ethnography, and memoir. Unlike most medical memoirs, told from the perspective of the human patient, Autobiography of a Disease is told from the perspective of a bacterial cluster. This orientation is intended to represent the distribution of perspectives on illness, disability, and pain across subjective centers—from patient to monitoring machine, from body to cell, from caregiver to cared-for—and thus makes sense of illness only in a social context.